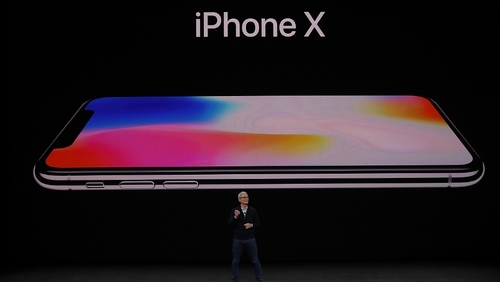 Investor expectations are set quite low for Apple's full year results report tonight after the iPhone maker cut its revenue guidance in recent weeks. The share prices has come under considerable pressure in the last three months, shedding about 30% of its market value which equates to hundreds of billions of US dollars. Aidan Donnelly, Head of Equities with Davy, said investors will be looking ahead and focusing on performance in the current trading quarter. "They'll be looking at management's view of iPhone shipments but issues remain around Chinese consumer demand and replacement demand from developed markets. "Any signs of positivity in terms of services or software revenue might ease tensions for the stock." It's a very busy week on the earnings from with 126 of the S&P500 companies reporting results. Some of the big tech names will be reporting and Aidan Donnelly expects it to be a mixed bag. Results from Caterpillar yesterday came in behind expectations with the company reporting no growth in China. That prompted another sell off of shares on Wall Street giving rise to renewed concerns about economic growth and fears of an imminent recession. "There are concerns out there given the nature of the pullback on stocks. Are share prices telling us something the economic data isn't? We still see economic data being reasonably strong. Companies can grow earnings and economies will manage to grow. "There are, of course, a few issues such as trade tensions, but hopefully a resolution will be forthcoming in March," the analyst said. The US Federal Reserve convenes for its latest meeting this week. Having hiked interest rates four times last year, it is expected to hold off until later in the year before moving again. "They'll probably take the view that they've done all they need to do for now and wait and see how the economic data pans out," he concluded.